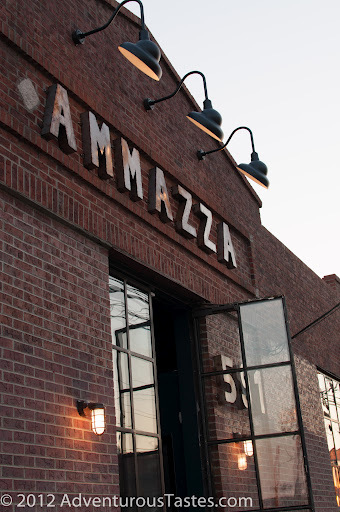 Located in Atlanta’s Old Fourth Ward, Ammazza is one of the newer wood fired pizza joints to make some competition for famed Antico Pizza. While I think the verdict was still that Antico wins for the actual pizza, I’m really glad we checked this one out. 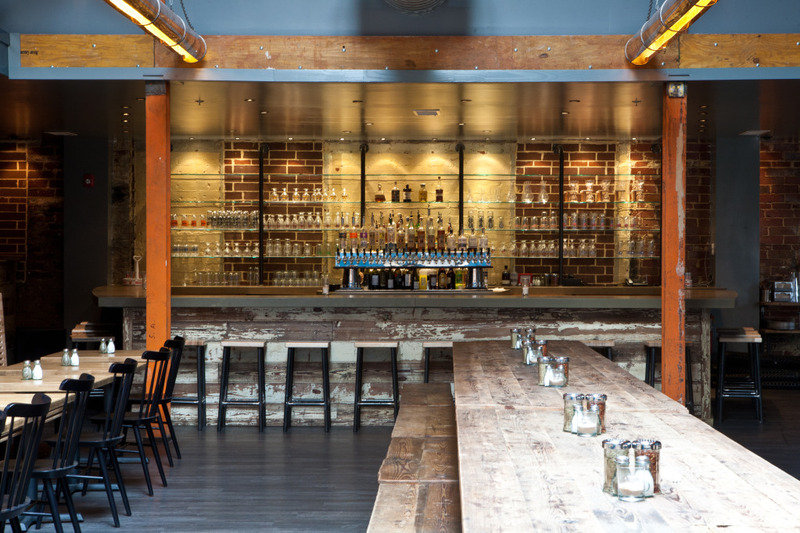 It’s located in a cool old brick building and has a big, airy dining area with a bar at the back, as well as a quaint little patio outside. You order at the counter as soon as you enter the building, and the dining area features big windows looking into the kitchen so diners can see the pizzas as they’re being made. We started with the Polpete (homemade meatballs, tomato sauce, romano, mozzarella and ricotta). What we didn’t realize is that they’d be served in a cast iron dish and SWIMMING in melted, hot cheese. I could have just eaten this for dinner. In fact, I’d like some right now. Pizzas are offered in either 12″ or 16″ sizes. We split the 16″ Ammazzare (artisan Italian sausage, roasted peppers, vidalia onion, basil, and house mozzarella). It came out rather quickly (but not as quickly as the .5 seconds it takes at Antico) — our only complaint was that because we were sitting outside, the pizza got cold really quickly. I’ll attribute that to the abnormally chilly May weather we were having. The pizza was well-cooked, and the toppings were a great combo. Overall, I think Ammazza gives Antico a good run for its money. Although plenty busy, the crowd was still a lot smaller (a good thing in my book), the dining area was a lot larger and not crazy loud, and while you can’t BYOB at Ammazza, their bar was fully-equipped with fun cocktails and good beer/wine options. I’ll look forward to going back again.